Ideal for permanent mounts on-board yachts, vehicles or other installations. Ideal for permanent mounts on-board yachts, vehicles or other installations. 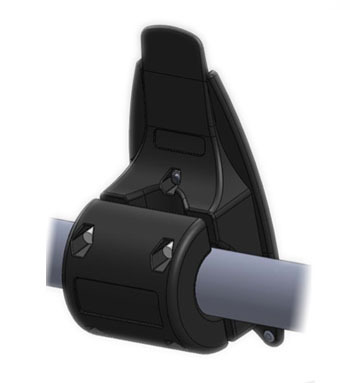 A secure fixing is attached to a rail, wall or any RAM-compatible mounting solution. A thin bracket is added to the back of the YB3. This then allows the YB3 to be securely fixed in place, but also safely detach from its mount when required.